Kimberly is a commercial and civil litigator, who practices a wide range of legal disciplines throughout New York, New Jersey, and the federal courts. She has a record of success in representing clients, and has managed all aspects of litigation in the areas of automobile accidents, wrongful death, construction accidents, defective premises liability, products liability, complex personal injury matters, and various criminal defense matters including the defense of DWI, larceny, and traffic matters. Prior to joining Pillinger Miller Tarallo, Kimberly resolved hundreds of cases as a plaintiff’s personal injury attorney. She brings individual commitment and dedication to each case she handles. 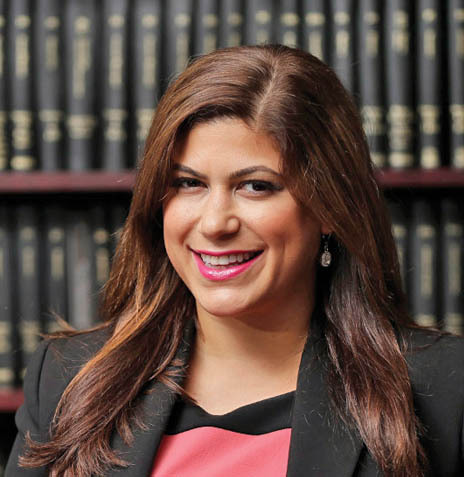 Kimberly has been selected for three consecutive years from 2015-2017 as Super Lawyers “Rising Star,” which are among the top 2.5% of lawyers in New York. She was recognized as 2015-2016 “Top Attorneys of North America” by the Who’s Who Directors. She was honored as 2014’s “Forty Under 40″ of Rockland County, New York by the Rockland County Economic Development Corporation. Kimberly is admitted to practice in the courts of the State of New York, the Federal Court for the Southern District of New York, the State of New Jersey, the Federal District Court of New Jersey, and the United States Supreme Court. After graduating from Pace University in Manhattan, she received her law degree from New York Law School.